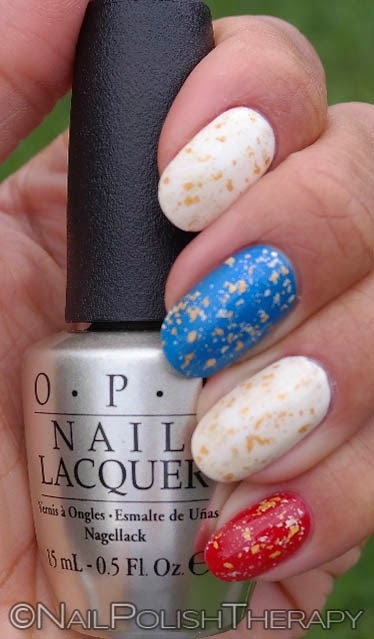 Nail Polish Red White and Blue, During the holiday weekend I didn't do much but polish my nails and toes different combinations of red white and blue. 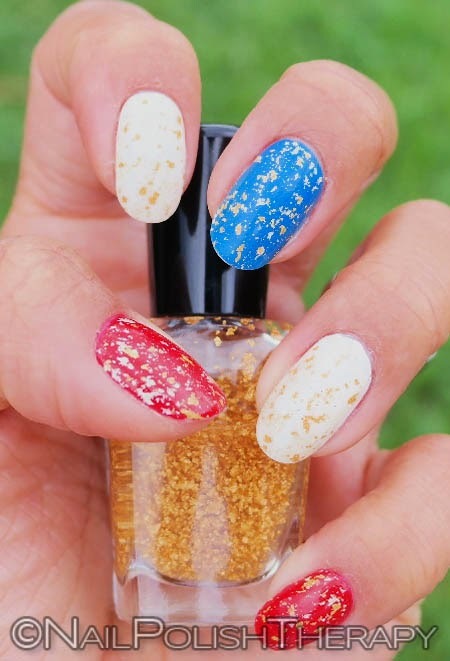 I'll be posting my patriotic pedicure in the next post...Unfortunately this year I didn't get to partake in our local fireworks like I normally do because my little one was not feeling too festive. 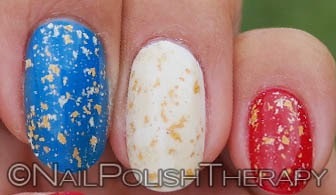 At least my nails were in the spirit! What were you wearing for the 4th? 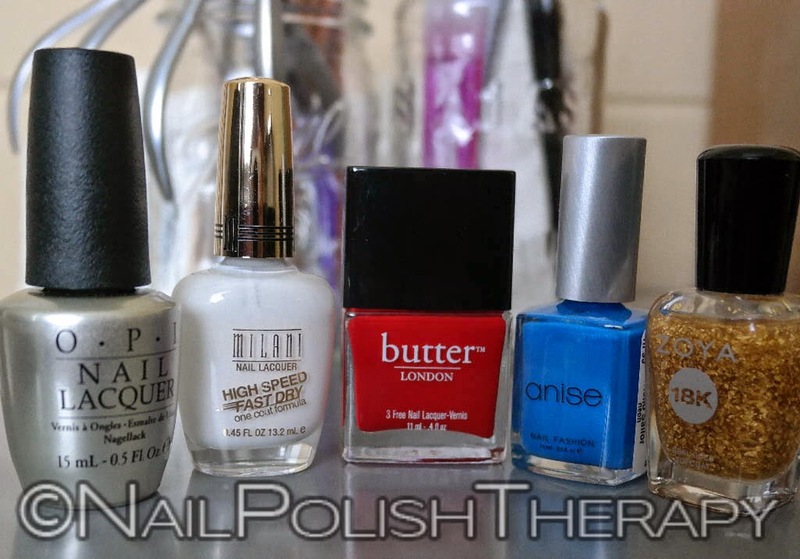 Here is OPI Mariah Carey Pure, Milani White on the Spot, Butter London Pillar Box Red, Anise Hello Sailor, and Zoya Gilty. I like the combination of the white and yellow gold together. 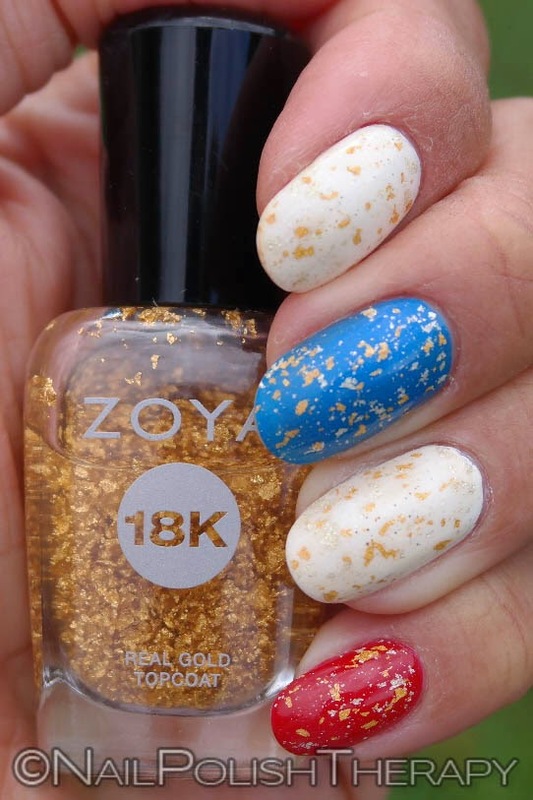 ZOYA's gold has a lot more presence while OPI is more subtle.